The Civic Potential of Video Games, an occasional paper from the John D. and Catherine T. MacArthur Foundation, examines the relationship between gaming and civic engagement among 12-17 year-olds. The paper summarizes findings from a Pew Internet and American Life survey conducted in 2007-2008 and outlines the implications of the survey results for education. Do teens who frequently play video games have higher or lower levels of civic engagement than those who play less frequently? Are teens who have civic gaming experiences more committed to and engaged in civic and political activity? How does the social context of game play relate to teen civic engagement? How equitable is access to civic gaming experiences? As I read through the study, I became more aware of the role of gaming in our classrooms. Our students interact with video games on computer, cell phones, and portable gaming devices and on gaming consoles. They can be found playing alone or with peers. You see them playing while waiting at the bus stop, in doctors’ offices, at school, and just about everywhere you look. From the moment they awake until they go to sleep, it is a part of their culture. As a middle school teacher, I am concerned about the “lack of civic engagement” among adolescents. I worry about the time they spend on their cell phones, Internet, and games. As I read this paper, it helped me better understand how I can capitalize on my students’ need to be technologically connected, and how other educators can benefit from reading this study. The study shows the amount of time teens spend playing video games is not related to their political and civic engagement in the real world. Teens who play video games frequently are just as involved in civic and political activities as those who play infrequently. However, survey results indicate that the characteristics of teens’ gaming experiences strongly relate to their civic and political engagement. Teens who have a greater number of civic gaming experiences are more likely to raise money for charity, go online to get information about politics or current events, express a commitment to civic engagement, stay informed about current events, and say they are interested in politics. The survey indicated that educators are beginning to embrace gaming as a valid instructional tool. One third of the teens reported playing games as part of a class assignment. The authors of this report argue that providing adolescents with gaming experiences exposes them to positive social networks and promotes cooperative learning by sharing goals and negotiating conflict within the games. Their findings conflict with the commonly held belief that playing video games isolates teens and encourages antisocial behavior. We also found no evidence to support scholars’ concerns that young people involved in the Internet (in this case by playing video games) are less civically engaged… It indicates that the same kinds of experiences that foster civic outcomes in well controlled classroom studies may achieve similar results in gaming environment… In addition, civic education research leads us to suspect that parents, peers, teachers, and mentors can significantly increase the impact of civic gaming experiences by helping adolescents reflect on those experiences. Because it is such an integral part of our students’ culture and daily lives, educators should use this zest for video gaming and integrate it into classroom practices. Games can offer a range of virtual experiences for adolescent students that are directly related to promotion of civic learning and responsibility. According to the research, simulations of civic and political action, consideration of controversial issues, and participation in groups where members share interests are effective ways for schools to encourage civic participation. These elements are common in many video games. In addition, many games have content that is explicitly civic and political in nature. The simulation game Democracy, for example, gives students the opportunity to learn about government and politics by acting as president of a country. Another educational simulation game, Real Lives, allows students to expand their cultural awareness by experiencing life as citizens of another country. 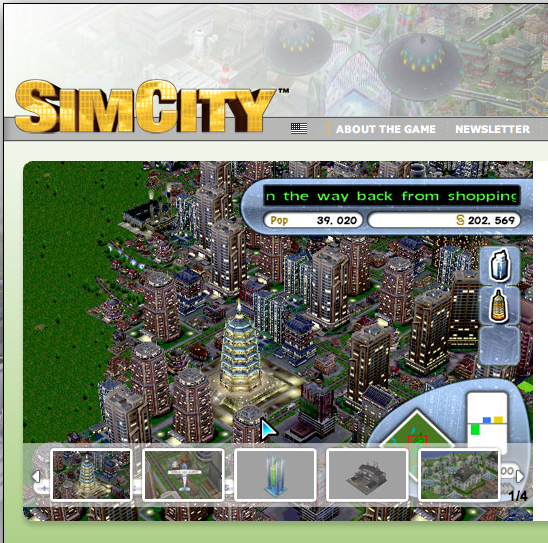 SimCity casts youth in the role of mayor and requires that players develop and manage a city. Students benefit from the opportunities these games provide by allowing them to begin to structure their own experiences through reflection exercises and peer collaboration. Gaming is not replacing the educator but is an effective tool to assist our students. Many of our classrooms are fashioned around Howard Gardner’s multiple intelligences theory. As teachers, we need to design our classroom to meet the needs of students of the 21st century and provide a new and engaging method of teaching civics. Because these games are so popular and engaging, they influence students’ behavior and attitudes. Studying the nature of this influence is therefore of great importance, so that we can better understand and help guide engagement with this powerful force in youth culture.